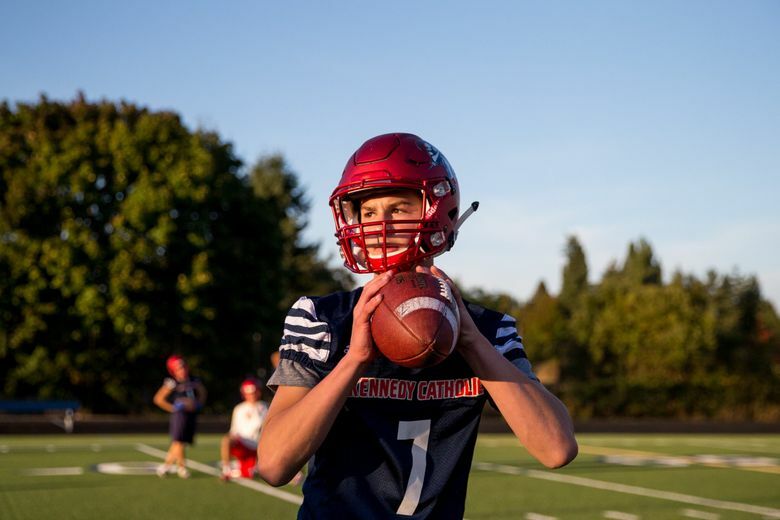 The son of former NFL and Washington quarterback Damon Huard threw for 3,432 yards and 34 touchdowns in 2017. Kennedy Catholic quarterback Sam Huard had a great start to his high-school football career. He threw for 359 yards in his first game as a freshman and kept throwing for 3,432 yards and 34 touchdowns. Friday, Maxpreps.com named the son of former NFL and Washington quarterback Damon Huard as the National Freshman of the Year. The Maxpreps story had an interesting note: Huard threw for more yards as a freshman than his dad or uncles (Brock and Luke) threw their senior years. Eastside Catholic linebacker Jaylahn Tuimolau was also named to the freshman All-America team as was Garfield defensive lineman Antwan Brown.